Fuel injectors, like many engine parts, get dirty with use, the injector’s performance is critical to the correct running of the computerised fuel injection engines. The fuel injector has the finest tolerance of any mechanical part on the engine. Regular servicing of injectors (approx 24,000 miles) will not only maintain performance, fuel economy and minimum exhaust pollution. It will also prolong the life of very important pollution components such as the lambda sensor and the catalytic exhaust. 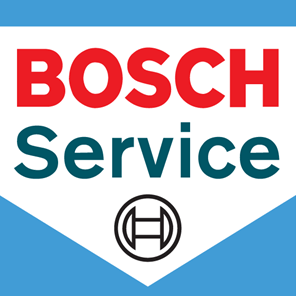 Our expert team uses their decades of experienced, backed by the latest Bosch fuel injection cleaning equipment, to deliver an efficient, affordable and above all thorough service that will restore fuel efficiency and drive quality, while cutting emissions from your engine. If you think your car might benefit from a fuel injection cleaning, speak to our team and learn more about the advanced methods we use to thoroughly and clean fuel injection systems. Warranty information: Injectors that have been serviced are guaranteed to flow as tested at the time of servicing and when shipped from Boxer Motor Works. Injectors are delicate pieces of equipment. They can be damaged by improper removal and/or installation techniques. Failure of any injector due to improper removal or installation will not be covered by warranty. Be sure to follow your particular manufacturers installation guidelines when removing or replacing your injectors. To request a quote phone 01784 251233 or email info@boxermotorworks.co.uk Boxer Motor Works are happy to perform fuel injector cleaning by mail order and can offer trade pricing. The time required for servicing your fuel injectors depends on several factors. These include: the type of injector being sent for service, the method of transportation and the current workload. NOTE: Injectors are delicate pieces of equipment. They can be damaged by improper removal and/or installation techniques. Be sure to follow manufacturers installation guidelines when removing or replacing your injectors, or consult a professional mechanic if unsure.